It is important to keep your home well maintained in order to establish a safe and healthy place to live, from electrics and plumbing to plastering and brickwork, Wisecraft does it all. 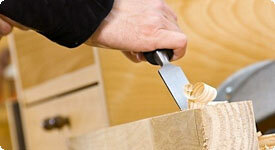 Their professional team will carry out all maintenance tasks with accuracy and skill (so you don’t have to!) and will leave every finished job looking and feeling top quality. 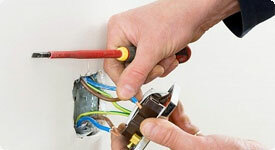 Faulty electrics will often result in higher electrical bills and can also be extremely dangerous. We always recommend you use a professional when doing any electrical work that way you can sleep easy knowing your home has been looked after. 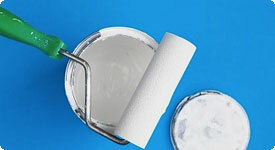 Whilst you can plaster yourself a professional finish will always look better and will be done much more efficiently and with less mess and disruption. 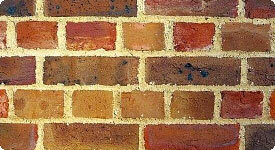 Re-pointing brickwork can be a very time consuming job, our friendly and professional staff are experts in repointing and pointing brickwork. Our cost effective joinery services can give your house a professional finish from beautiful wooden floors to elegant spindles. 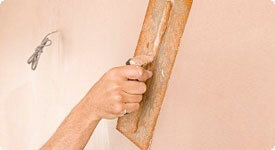 Damp can do serious damage to your property so its well worth taking preventative action before any damp occurs. 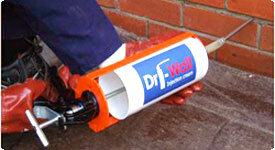 A Chemical Damp Proof Course can stop damp before it gets a chance to do any damage. Whether you want a professional finish to your brand new Wisecraft extension or just want to re-do that tired bedroom Wisecraft can help.